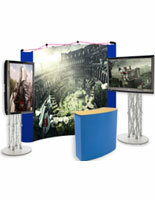 Buy Wholesale Monitor Stand for 42" Flat Panel TVs to Display at your Next Trade Show or Convention! 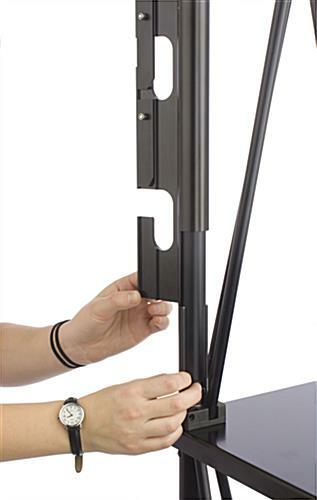 This Monitor Stand can Support (2) 50" Flat Screen Plasma TVs in Either Landscape or Portrait Orientation! 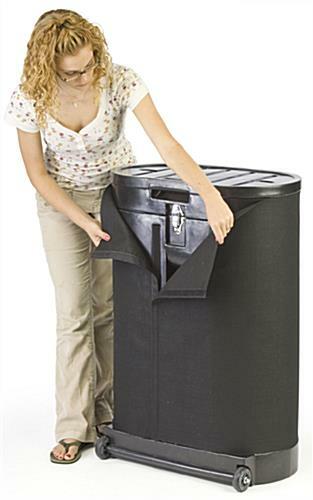 Check Out Our Vast Selection Online Today! 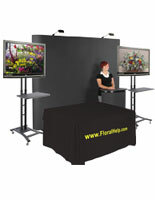 This monitor stand for 42" flat Panel TVs has (2) 31" wide counters on each side of the display. These counters are ideal for displaying additional information brochures, or you can present in front of the television from one of these counters. 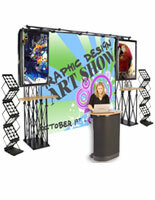 This portable booth, monitor stand has an almost 8' x 8' area to place a custom graphic along the back. 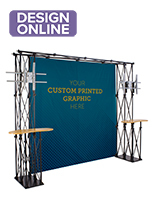 Use this banner graphic to draw even more attention to your booth. 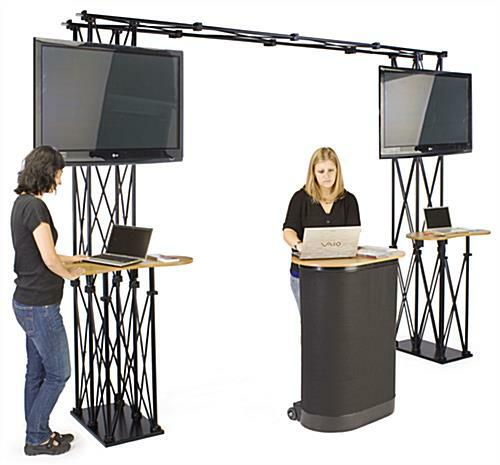 A monitor stand uses a modern truss design with a black finish that brings a contemporary appearance to your organization. 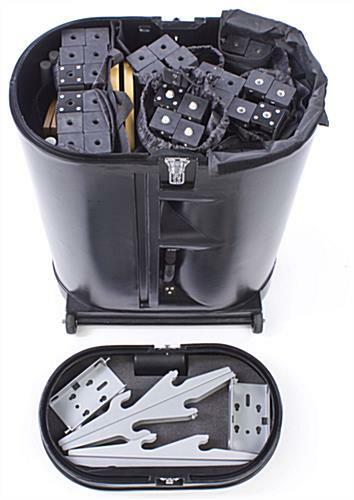 We include this monitor stand with instructions for easy assembly, as well as repacking the unit into the travel case! 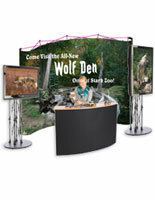 This portable booth, monitor stand is great for creating an interactive display that will draw customers into your business. Vivid imagery and large televisions easily attract customers. A monitor stand can hold an up to 60" plasma or LCD TV that weighs up to 80 lbs. 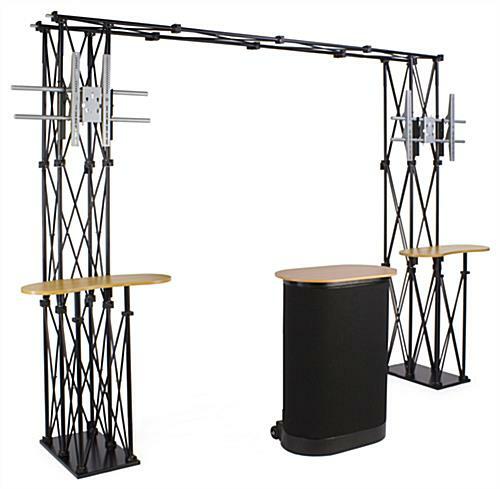 You can display each television either in landscape or portrait orientation and use the spacers on each truss to raise your television 3" on this monitor stand. 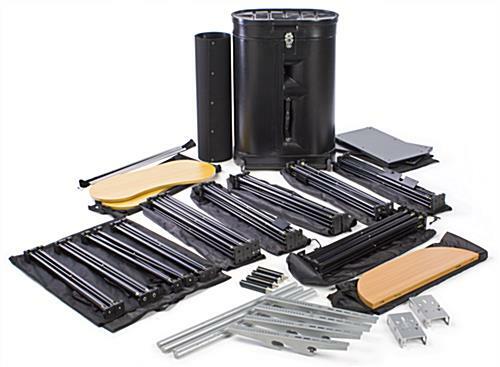 A monitor stand, like a portable booth or pop up exhibit display, fits into a traveling case with wheels to easily transport your display to and from events. 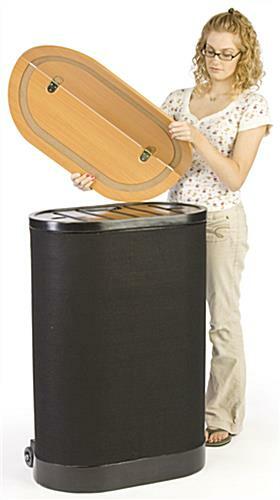 A countertop and black wrap are included, so you can turn this travel case into a sales counter! This monitor stand supports many television brands including Sony, Vizio, NEC, LG and more! The quality monitor stands on sale with brackets for 42" flat screen televisions provide all the demonstration space you will need. Don't blend in with the rest. Purchae this customizable monitor stand today!